When the young ones go biking with the big ones, riding fun and safety are both essential. This implies finding the correct frame size and the appropriate setting when renting a bike. We offer children’s bikes suitable for all ages: starting from balance bikes to bikes with frames of 12, 14, 16, and 18 inches in a stylish Matrix design for cool boys, or a pink Melissa design for sporty girls. INTERSPORT RENTertainers also have great teen bikes of 20 or 24 inches for “advanced cycling experts”. 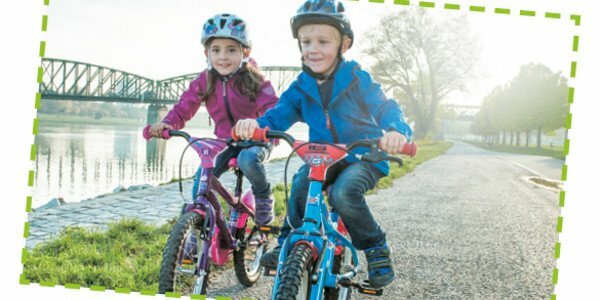 And so that the family budget doesn’t suffer too much, children’s rental bikes up to 24 inches are at half price at INTERSPORT Rent. Click here to find out more about children’s helmets etc. Book a children’s or teenager’s bike online now!